Another month, another new Verizon rebate form. This one, dated 10/14-11/15, has two surprises from Samsung, the Omnia and Saga i770. We first reviewed the Omnia GSM version this July and were quite impressed with the device. We can only hope the CDMA model will keep some of its high-end features, such as the 5MP camera and excellent software performance. The Saga i770 will replace the i760 and support Windows Mobile 6.1 professional, CDMA/GSM, EVDO Rev A, and WiFi (802.11b/g). Also listed are the LG VX8360 and VX5500, as both are expected out the end of October. Unfortunately, there is still no sign of the BlackBerry Storm and HTC Diamond. i hope the samsung omnia support DiV/DiX. whatever that's called. why did i hear that this phone was going to look similar to the i780? It by no means resembles it...still it looks decent. my vote this year is for Verizon! way to go! Sorry you've got a $400 deposit - get a job! I think the HTC Touch and the Blackberry (I'm assuming you mean bold) .. are all under exclusive licenses. Until Sprint loses its exclusivity and ATT loses its exclusivity on the Blackberry Bold, VZW can bring those phones into their line up. 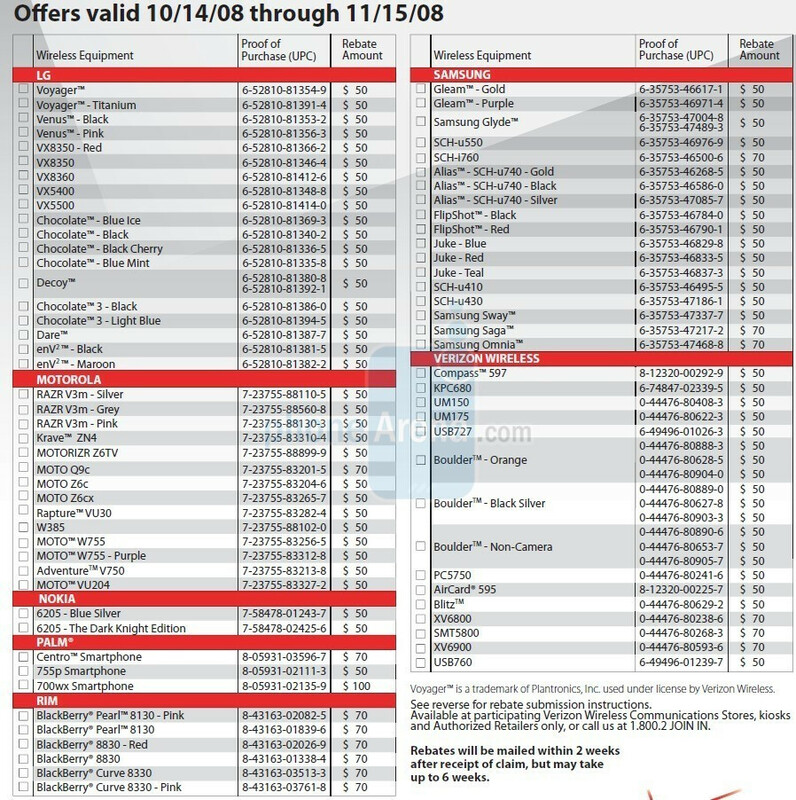 PS, I don't know how reliable this is, but my friend works at VZW, and word is corporate is trying to negotiate a deal in which VZW will sell the iPhone in November 2009... I don't know how reliable this is, but he has provided me with some good info over the years so lets all hope this is true. 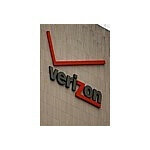 ATT will be completely crushed if VZW gets the iPhone. I mean, who wouldn't want a cool phone AND the best network? Umm i know i wouldn't....i got an iphone on at&t and a jail broke it. I got signal where ever I go and where i live (central florida) is where at&t has everything. Apple isn't making a CDMA iPhone. Simply, it costs more for R&D, getting hardware for it, and licensing fees. Releasing a CDMA iPhone in November 2009 makes no sense. In 2010 we'll be seeing LTE, Verizon's going to work hard to roll it out first because it requires more work and hardware to go from CDMA > LTE. Plus AT&T has a lot of flexibility with HSPA, they've got 14.4mbit HSDPA, then there's HSPA+..... All into an easy transition to LTE. If an iPhone ever came to Verizon, it wouldn't be until LTE. I heard otherwise, that one would be released with LTE. There was a loophole in ATT's exclusivity contract, that they could be the only carrier of the iPhone with its GSM technology until 2012. New technology calls for new options for everyone. Seeing as Verizon and Vodaphone are both going to be in the LTE market, and correct me if I'm wrong, essentially make the global cellular technology the same (within their networks) .. it would be a great investment for them to globally carry the LTE iPhone. ridiculous. apple needs too much overall control over the device. they rejected it once, i'm sure they'd do it again. what's going to be the better phone; Omnia, Storm, or Touch Pro. The omnia looks like its going to have good specs, but i wonder if its going to already be behind the times since the GSM version was already released a good bit ago. I don't know if I want a Storm with the rumors that a Storm 2 and 3 are already in the pipeline. And to top things off, Verizon gets the less powerful lTouch Pro while Sprint gets it's big brother. Thoughts and opinions? its true, just think phones come in with their new models every year so they have to start now on their next generation storms to be ready for th next year. like the v, env, and voyager. they all game out three years in a row and when the first one launched the second was being sketched and prototyped. its why no one will ever be able to stay up with technology. dude, companys have roadmaps that show where theyd like to be with what devices YEARS in advance. The storm was probably a workin model last year, and has been in different phases of bug killing and retooling since. Its not unlikely at all thaty they have the next version or 2 or 3 already in some sort of preliminary testing. Hell, MS started work on the next xbox the same year the 360 came out. Things dont happen overnight, they take alot of time. did you really think they just go. "hey i got a great idea for an all touch blackberry" and have it to market 6 months later? Geesh. Anyone know a RELEASE DATE for the Omnia? Any guess based on the fact it's on the rebate form??? so since it on a rebate for until nov 15, does that mean taht omnias gonna come out b4 then????! Not necessarily. We've been known to put some sutff on rebate forms before that haven't come out, like the Voyager last year. Has anyone heard of a release date for Verizon's SCH-i770,yet? How does that measure up to the Palm Treo 800W they are also supposed to be coming out with sometime soon? anyone have a reasonable guess as to the price of omnia with 2 year contract? do you think its even possible for a 300 and under price tag?